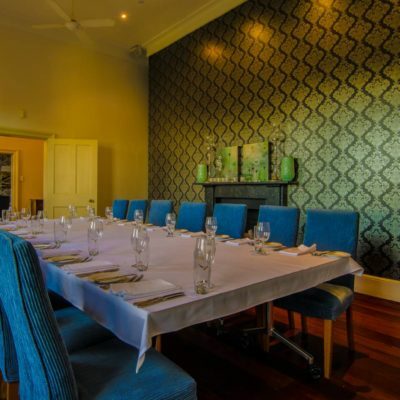 Set in a heritage-listed house in the heart of the Perth CBD, this is a private room is situated on the main level and is appropriate for up to 20 guests on a boardroom table, or potentially two long tables of 14 guests each. 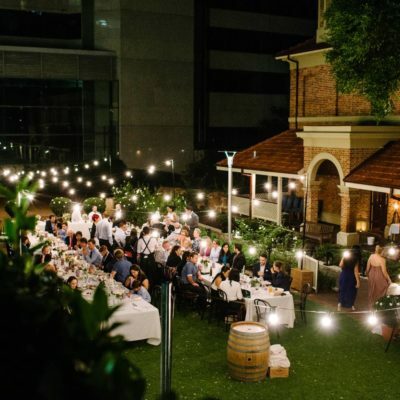 Corporate clients or weddings will often congregate on the balcony for pre-dinner drinks and canapes before moving inside for dinner. 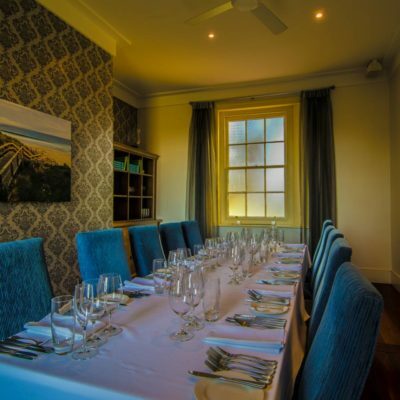 Multiple catering options are available from our daily a la carte menu and up to high-end degustation dining with paired wines. 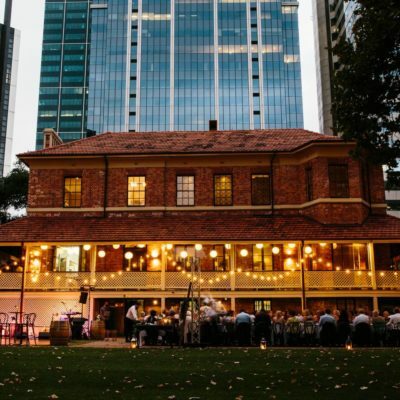 Enquire about our latest seasonal menus and catering packages available from our daily a la carte menu and up to high-end degustation dining with paired wines. 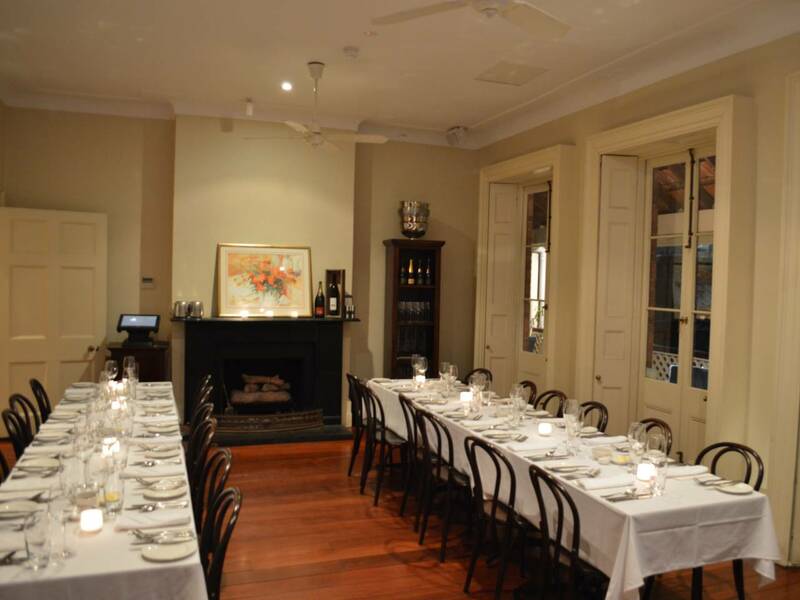 This is a completely private and exclusive room, you will be treated with your own waitstaff for your event. Access to a TV screen available on request. Additional audio-visual can be hired. Multiple public carpark options within walking distance. Pick up and drop off point would be Spring St.